If left untreated, leprosy can affect the peripheral nerves and cause the fingers and toes to claw inwards. The disease can also attack the eyes, resulting in infections, cataracts and even preventable blindness. Ulcers and infections in the hands and feet are common because bruises, cuts and burns are ignored when the skin loses sensitivity. Untreated infections can become so severe that disfigurement and amputations may result. 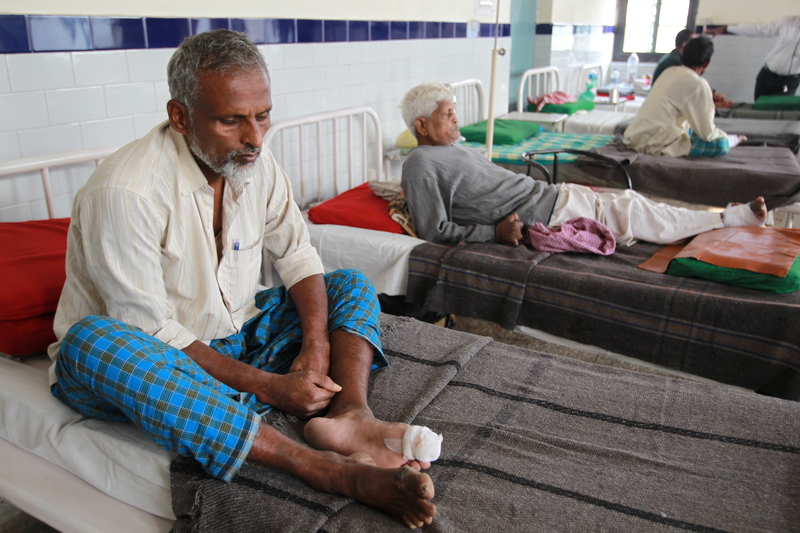 People living in poor communities are much more vulnerable to leprosy. Dirty water, lack of sanitation, poor nutrition and lower standards of living mean people's immune systems are simply not strong enough to fight the disease. There is a cure, and disability can be completely avoided if leprosy is diagnosed and treated early enough. A combination of drugs, known as multi-drug therapy (or MDT), kills the bacteria and the cure success rate is approximately 99%.